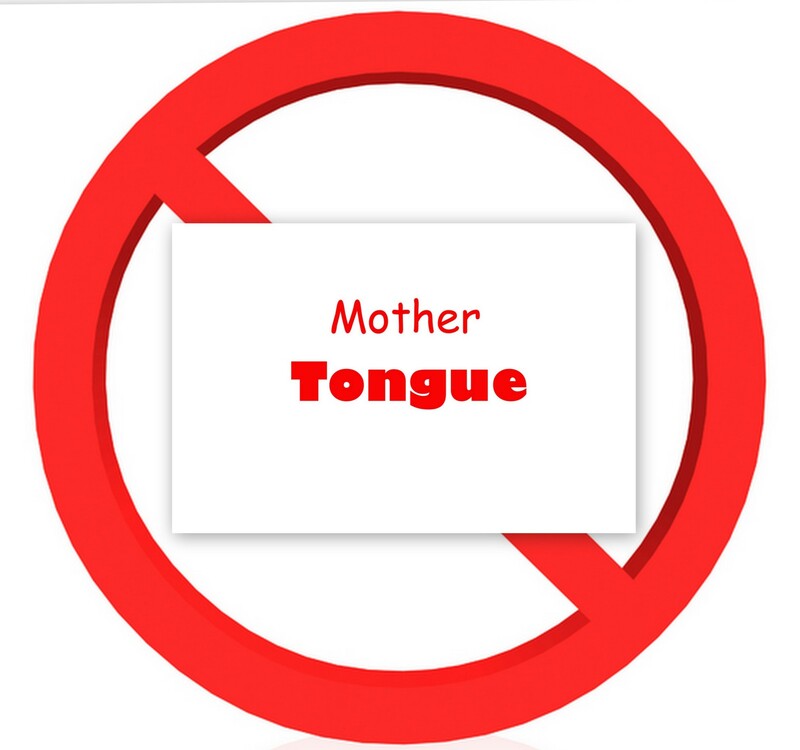 Mother Tongue~not applicable! – Thoughts…. Whenever I had to fill the box “mother tongue” in a form, I think! “Mother tongue, errr”. I say “I am a Tamilian” to all Malayalees and “I am a Malayalee” to all Tamilians”. So here is the story, I speak Tamil at home. Even if my family has been in Kerala for the past 3 generations somehow they protect the Tamil culture which they belonged to. Due to the influence of Malayalam for generations the Tamil I speak is not really “Tamil”. Malayalam is more close to heart. I definitely speak Malayalam better than Tamil but, can I read Malayalam like a true Malayalee? Ashamed to say that, I can’t. I am super slow with Malayalam letters. They make me think that I have dyslexia. The national language, Hindi was a compulsory subject back in school. Did you notice the word subject? Yes, I studied Hindi as a subject more than a language. Hindi serials helped a lot to score a good grade and that’s all I cared back then. Never really took the trouble to know it as a language. English came into my life as a savior. This language was a stranger not just to me in the place I belong. With the passing of time I realized that it’s the only language I have learned like everyone else. This language didn’t have anything to do with the Kerala or Tamil Nadu or even India. (Not talking about influence of Indian languages in English) It’s the only language which treated me equal to others. A Malayalee who belong to Kerala by heart, who can’t get hold of Malayalam letters even after using it for more than 10 years. Someone who loves English for its vibrancy. In short, I know 4 languages and know no languages. Thanks a lot for dropping by 🙂 Would love to hear more from you. I can read Tamil now :)! I am not really good, but i can manage.